The Graphic Card. Best Video Cards. What is the best graphic card for your system? What about the best video cards? Learn to understand cards (e.g. review ATI Radeon graphics cards) and how they work (e.g. information on NVIDIA driver download). Cards these days are made for the PCIe 2.0 slot, but are backwards compatible to the PCIe 1.0 slot. Video cards were first used in the 60's when displays started replacing printers as the primary output component. Video cards were simple components, only able to display green text. There were no images and no colors. In 1981 IBM released the first home computer video card. It was used only for text, and only displayed 25 lines with 80 characters each. Again, it was only in green. Over the next few years, the number of colors began expanding. In 1990 they had hit 65,536 colors, with resolutions of 1024x768. In 1995 the first 2D/3D cards were released. Companies like ATI, Matrox, and S3 were among the first. Then in 1997, 3dfx released the Voodoo graphics chip. At the time it was quite powerful and as a first, added 3D effects. Voodoo2 and TNT followed in the coming years until the cards became too powerful for the PCI slot. 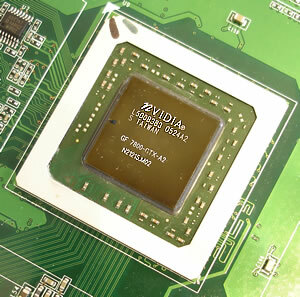 Intel developed the AGP port and Nvidia took over the video market with GeForce. Since then it has been back and forth between Nvidia and ATI. Video cards are released multiple times per year, and the technology keeps getting faster and better: finding the best video cards is really a matter of keeping up with the technology. The GPU, or graphics processing unit, is where all processing on the graphics card takes place. The 2 main parts of the GPU are the microprocessor and the pipelines. 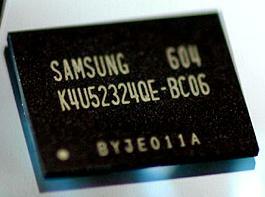 The microprocessor is optimized for floating point calculations which are needed for rendering. Current microprocessor speeds currently range from around 400MHz to 1200MHz. The second part of the graphic card is the pipelines. The pipelines are what actually convert the 3D image data into 2D display pixels. Video cards have their own memory called VRAM. The memory capacities of today's cards range from 128MB to 1GB. Memory has been researched and developed a lot in the last few years as more and more is needed. Video cards are currently starting to use GDDR5 memory, at speeds up to 2.4GHz. By far the most common connection between the computer and the monitor is the HD-15 connector. This has been the standard for over 20 years, and consists of a 15 pin connection. A few years ago, S-video was added that allowed the graphic card to interface with TV's, DVD players, and video recorders. All cards today are being made with DVI, or Digital Video Interface. 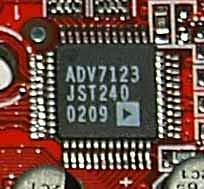 This allows a digital connection from the video card to the monitor and removes the need for RAMDAC. RAMDAC is Read Access Memory Digital to Analog Converter. Its main purpose is to take the digital information received from the computer and translate it to analog for the monitor. As more and more computers use LCD monitors, which accept digital signals, RAMDAC is slowly disappearing. 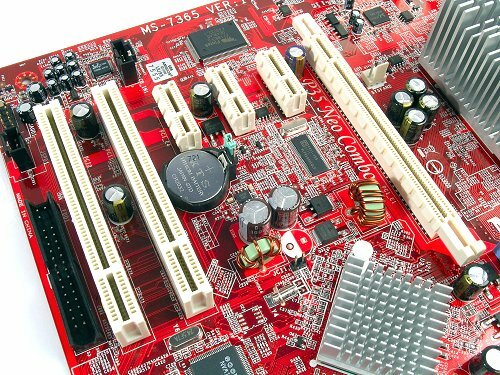 Since the 1990's, there have been 3 motherboard interfaces. The first, PCI, was a 32 bit interface that operated at 33MHz. This was replaced by AGP which doubled the speed to 66MHz. Currently, motherboards are being made with the PCIe interface, which again doubled the speed to 133MHz. The power requirements for graphics cards has already surpassed the amount that the PCIe slot can provide. Most graphics cards will come with a 4 or 6 pin connection to allow you to connect directly to the power supply. The high end graphic cards will now come with a 6 an an 8 pin connector. It is important when building your own computer to make sure that your power supply has the needed connections or adapters to plug into your graphics card. Graphic card naming schemes can be a bit difficult to decipher until you know what each part means. It can vary somewhat from manufacturer to manufacturer, but for the most part is pretty universal. Let's look at a typical card and parse it out. EVGA - This is the manufacturer of the card, in this case, EVGA. There are many card manufacturers, but only 2 main GPU manufacturers. This is similar to motherboards and CPU's. There are many motherboard manufacturers, but only 2 main CPU manufacturers. This is usually the first part of the description. 640-P2-N829-AR - This is the manufacturer's model number, almost always following the manufacturer. GeForce - This is the manufacturer of the GPU. There are two main GPU manufacturers, Nvidia and ATI (owned by AMD). 8800GTS SSC - This is the GPU model number. The main part of this is the 8800GTS. This is the model number from Nvidia, and will give you the best indication of the speeds of the card. More information on this below. 640MB - This is the amount of memory on the video card. 320-bit GDDR3 - This is the memory interface. PCI Express x16 - This is the type of motherboard slot that will be required to plug in this card. The x16 is the speed of the PCIe slot. PCIe speeds include x1, 2, 4, 8, 16, and 32, with 32 being PCIe 2.0. HDCP Ready - HDCP is a digital copy protection developed by Intel. HDCP ready means that the card can read and play HD DVD and Blu-ray discs. Without this, you would not get a picture. SLI Supported - SLI is Scalable Link Interface. 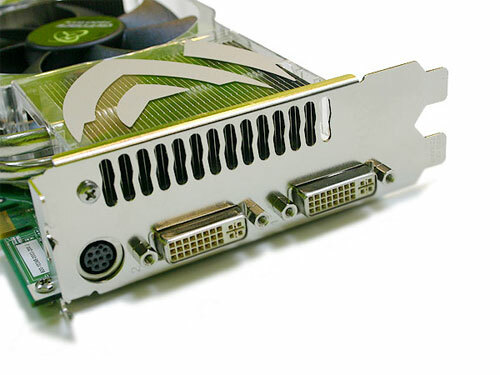 This is a technology designed to allow 2 or more graphics cards to be used in a single system. ATI and Nvidia both have their own naming conventions for their GPU's. When you are looking to buy a graphic card, this will be one of the main things you should look for. If you can interpret Nvidia's naming system, you will be able to tell at a glance how good the card is and an approximate price range. Nvidia releases cards in series, so you have the 4000 series, 5000 series and on up to the current 9000 series. So, when you see a graphic card such as the 9600 or the 8800, the first number is the series that the card belongs to. The other 3 numbers refer to the market that the card is marketed for. They go in increments of 50. 000-450 - These are Nvidia's mainstream cards. The price range of these cards is usually under $150.00 and they usually have less than 512MB of memory. Current games will be playable at low to medium settings. 500-750 - These are Nvidia's performance cards. They are priced from $100 - $300, and for the most part will play the current releasing games, on medium settings. These cards will have from 256 - 512MB of memory. 800-950 - These are Nvidia's Enthusiast cards. They are priced from $200 - $700. These cards will for the most part play the current releasing games at high graphic levels. Memory on these cards will range from 512MB - 1GB. NVIDIA driver download online is a relatively simple process which allows you to search manually or automically for the right driver for your computer build. ATI's naming convention is similar. Their card numbers will relate to the different markets that they are aimed towards. The ATI naming scheme has changed over the years, this is their most recent. The first number in the name refers to the series of the graphic card. The next three will determine what market the card is aimed at. 350-590 - This is ATI's budget line. These cards will cost less than $100 and have 64MB - 128MB of memory. These cards will usually need graphics set to low settings for current games. 600-790 - This is ATI's Mainstream line. These cards will cost from $100 - $200, with 128MB - 512MB of memory. These cards will normally play today's games at medium settings. 800-990 - This is ATI's Enthusiast line. These cards will cost over $150, with 512MB - 1GB of memory. These cards will play today's games on high settings. Note: I've been contacted by a number of builders asking about the ATI radeon graphics cards; they are no longer available on the retail market but can be found through third-party board manufacturers, who build and sell the Radeon-based boards.